Salutation from the book: "The War In The Air" by Maj Gene Gurney. 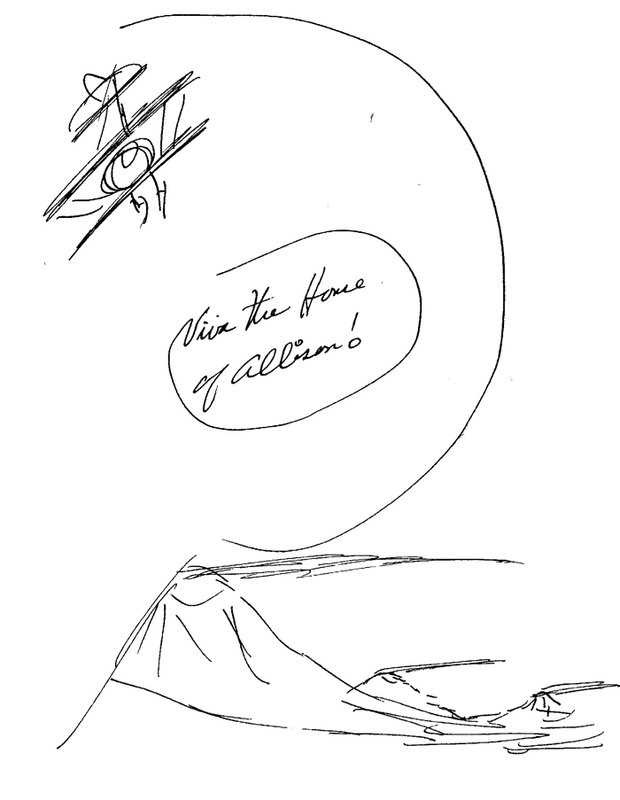 flap is a sketch of a biplane flying over wind-swept mountains and the note via the home of Allison. note "Viva the home of Allison! ".